UNC Asheville’s women’s basketball team fell to Radford Tuesday night, bringing their record to 8-3, tied for second place with High Point and Radford in the Big South Conference standings. 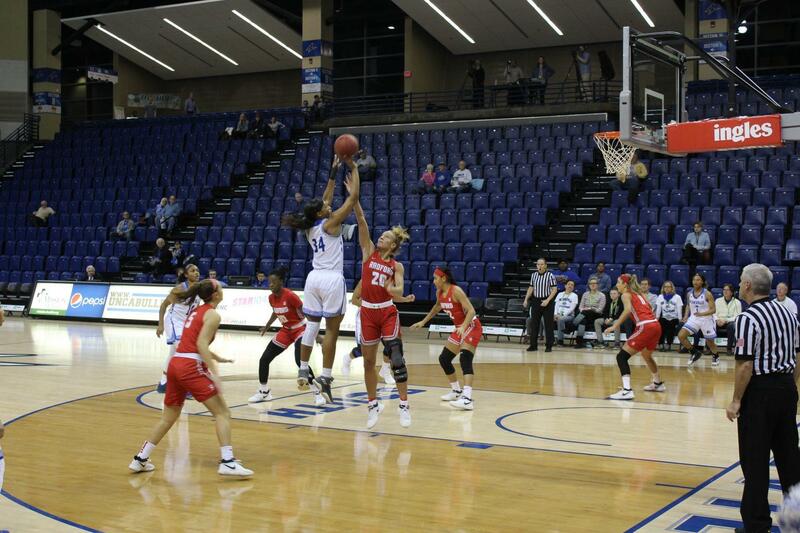 UNCA started the game impressively Tuesday night. Senior center Bronaza Fitzgerald won the opening tip which found junior guard Jessica Wall, who converted a layup to open the game’s scoring. Following the game’s first timeout, freshman guard Nadiria Evans came off the bench and began her night with a strong take to the hole that resulted in a foul. Evans converted both free throws and scored UNCA’s next bucket, bringing their total to 10. Wall beat the buzzer to put the Bulldogs within one when she hit a three as time expired in the first quarter to make the score 13-14. The Bulldogs capitalized on this momentum shift and were able to hold the Radford Highlanders to only eight points in the second quarter. Fitzgerald scored the first four points of the second half to put the Bulldogs up 17-14. Senior guard Khalia Webb scored twice as the shot-clock expired, including the only three of the quarter, to put a dagger in the heart of the Radford defense who were excellent throughout the game. UNCA went into halftime leading 26-22. 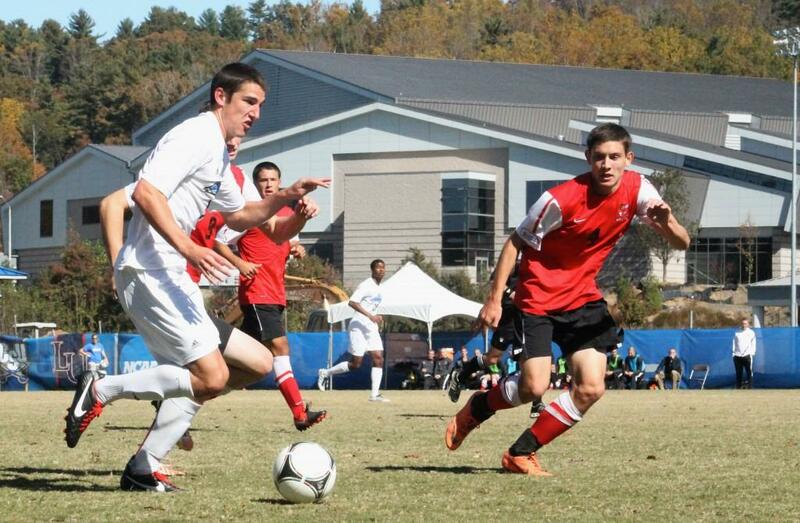 “In the first half Asheville did a really good job with their defensive pressure. A lot of the passes were contested. It forced us to make some careless turnovers, so we knew we had to clean that up at halftime,” said Mike McGuire, head coach at Radford. 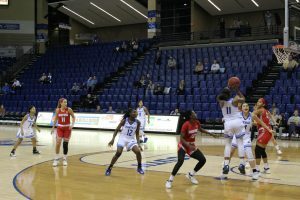 Following a difficult first half in which they struggled to find any rhythm against UNCA’s stellar defense, the Highlanders found another gear in the second half. Radford’s ball movement improved and they were able to make knock-down open looks. “Our kids executed really well. That’s probably the best half we’ve played all year long,” McGuire said. Radford came out firing in the second half. The Highlanders hit a three to open the second half scoring and clawing back to within a point of the Bulldogs. Junior guard Destinee Walker and senior forward Jayda Worthy of the Highlanders were standouts in the second half. “The first half was pretty good, I thought we had the right mentality. I just don’t think our response was where it needed to be when they made their run. 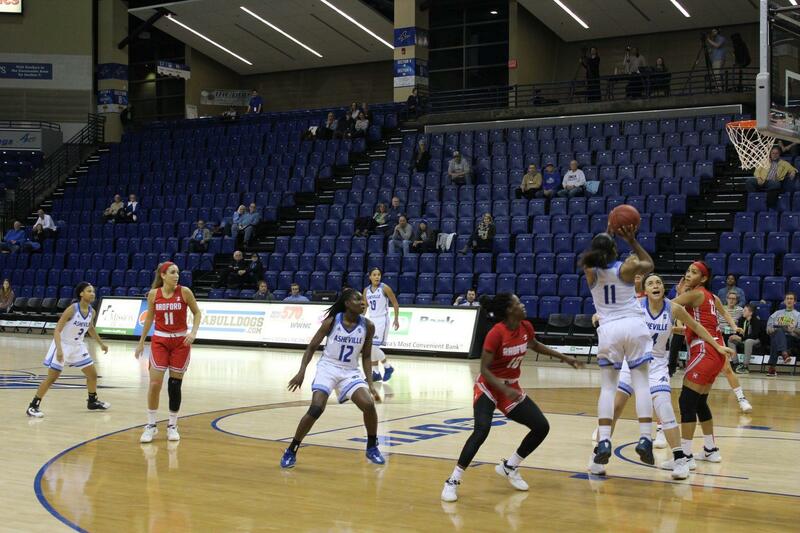 We didn’t counter that,” said Brenda Mock Kirkpatrick, head coach at UNCA. Three of the game’s five lead changes came in the third quarter. Any time the Bulldogs went ahead, Worthy was able to find an answer as she repeatedly came up with clutch buckets. Worthy finished with 14 points, shot 78 percent from the field and was named the game’s MVP. Junior forward Tiffany Wilson made it 46-44 and brought the Bulldogs within two with 7:43 left in the fourth quarter, but this was as close as the game would get. Radford went on to execute both flawless offense and defense for the remainder of the fourth quarter, holding UNCA to two points in the final seven minutes of the game. Radford ended the game on an 18-2 run during which they played tenacious defense and clicked on all cylinders offensively. Senior center Fitzgerald looked unstoppable whenever she received the ball in the paint in the first half, but found opportunity limited in the second half. She finished the game with 14 points and 11 rebounds as she claimed her 13th career double-double. Wall and Webb also finished in double figures, scoring 13 points apiece. Despite big numbers from Fitzgerald, Wall and Webb, UNCA’s offense lacked its usual fluidity, especially in the fourth quarter. Khalia Webb helps herself to the net. Liberty sit alone at the top of the Big South Conference standings with a 10-1 record, but still have to play High Point, Radford and UNCA. In an ultra-competitive conference where anything can happen on any given night, there is still everything to play for. “Every game from here on out is going to be a battle, it’s going to be hard. Winning games in this league is hard. There’s a lot of great teams in this league and a lot of great coaches so every night is going to be a war. That’s what makes it fun though,” Mock Kirkpatrick said. UNCA and Radford currently sit tied for second in the Big South standings. Being two of the better teams in the conference, there is a chance that the two will meet again in the conference tournament this March. “If we face them again, we’re just going to have to be ready for the war, minor adjustments there but it’s more of a mentality adjustment than it is anything else,” Mock Kirkpatrick said. The Bulldogs only have three regular-season home games remaining and would appreciate support as they gun for the number one seed heading into the conference tournament. They host Charleston Southern on Tuesday, Campbell on Feb. 20 and end the season playing against Gardner-Webb on March 3.